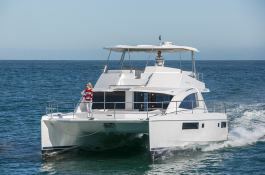 The Leopard 514 is available for charter in Phuket and guarantees you exceptional moments of discovery in Thailand as well as Koh Lanta, Koh Hong, Koh Yao, Koh Phi Phi, James Bond Island, Koh Muk or the Bay of Phang Nga. 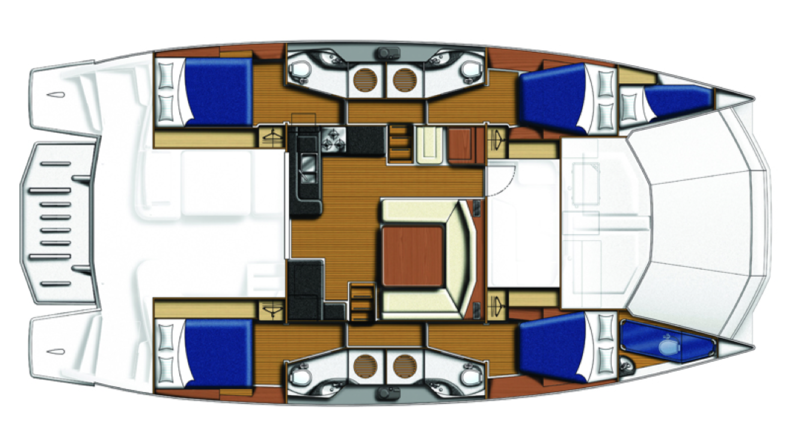 Available from Phuket, the Leopard Power 514 power cat has 2 single cabins and 4 double cabins and is able to accommodate up to 12 passengers. 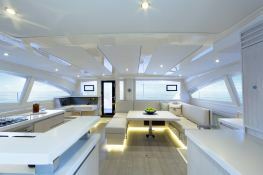 She can cruise at a speed of 20 knots, with her two 350hp engines. 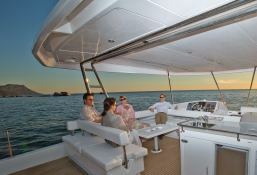 Chartering in Thailand becomes an enjoyable and easy navigational experience from island to island. Discover innumerable white sand beaches and coral reefs of local fauna and flora. 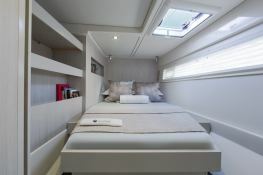 This Leopard 514 catamaran is available for bareboat charter, however we recommend that you take the services of a skipper to help you navigate the maze of islands and the Andaman Sea. 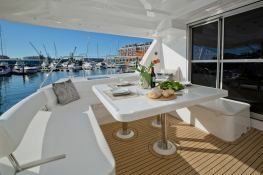 This motoryacht is available for yacht charter with a base price of 14 535 € (approximatly 16 392 $).